There are so many beautiful places to visit in England. Are you planning a trip across the pond? 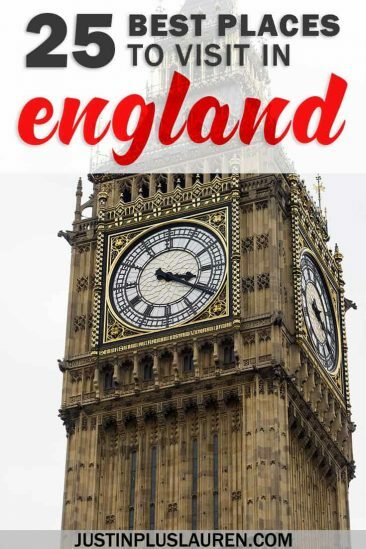 It’s difficult to narrow it down to only a short list of the best places to visit in England. While there are so many quaint villages, charming towns, and vibrant cities to add to the list, I’ll start with 25 of them. It could take years and years to explore all of the prettiest England destinations. If you’re getting on a plane and jetting off to the land of high tea, double-decker buses, and the Royal Family, here’s a great list of towns, landmarks, and cities to visit in England. It wouldn’t be right to make a list of the top cities to visit in England without including London. While you might not think that London is one of the prettier places in this article, it deserves a special spot as an important and iconic destination. After all, if you think about England tourist places, most that come to mind will likely be straight out of London: Big Ben, Buckingham Palace, Westminster Abbey, and even the London Eye. Travel around to many of these celebrated buildings and attractions on a London city tour, with some even catered to fans of the Harry Potter movies. After visiting The Wizarding World of Harry Potter at Universal Studios in Florida, I’d love to check out a Harry Potter tour in London. While it’s an expensive city to visit, there’s an endless amount of things to do in London that won’t break the bank. Many of the art galleries in London are free, such as the National Gallery in Trafalgar Square. Wander around Hyde Park or Hampstead Heath to get some exercise and fresh air. Alternatively, Oxford Street is one of the many prime shopping locations in the city. London also happens to be incredibly vegan-friendly. You can find a vegan take on fish and chips, vegan afternoon tea, and now the world’s first completely vegan hotel suite. Even if you don’t find London to be the prettiest city, the amount of vegan options is a beautiful thing. 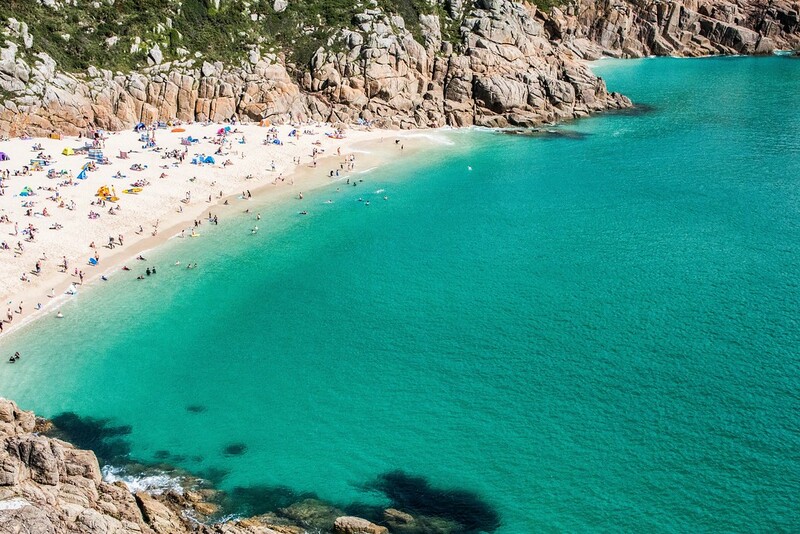 In the southwest of England, you’ll discover the county of Cornwall, one of the best places to visit in England. 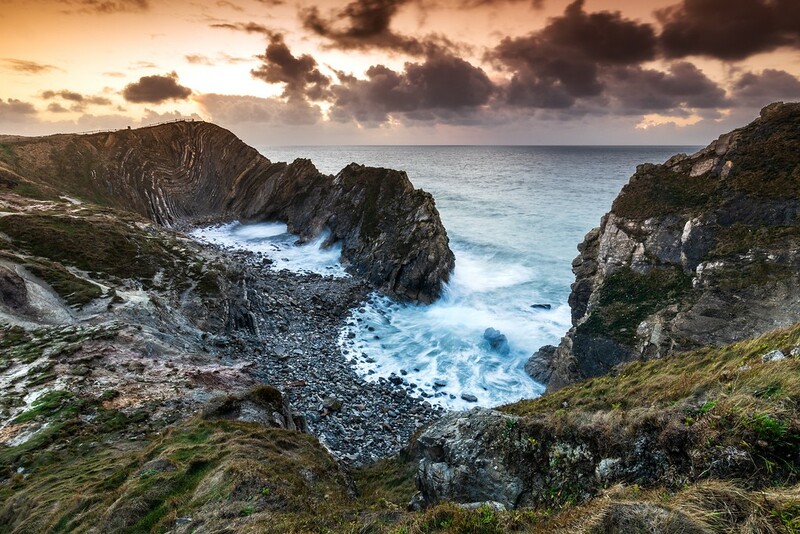 With its epic coastlines and diverse Celtic heritage, Cornwall is attractive to travelers seeking both cultural tourism and beautiful places in England. For stunning coastal walks, check out The South West Coast Path, especially the Cornish section around Penwith. For the adventure traveler, Cornwall has opportunities for coasteering, rock climbing, surfing, and cycling. History lovers can flock to the ruins of Tintagel Castle, the legendary birthplace of King Arthur. Bodmin Moor is home to King Arthur’s Hall, the megalithic monument, as well as Brown Willy, the highest point in Cornwall at over 1300 feet. To relax in a peaceful setting, plan your trip to The Lost Gardens of Heligan, a massive complex of landscaped gardens, including walled vegetable and flower gardens. 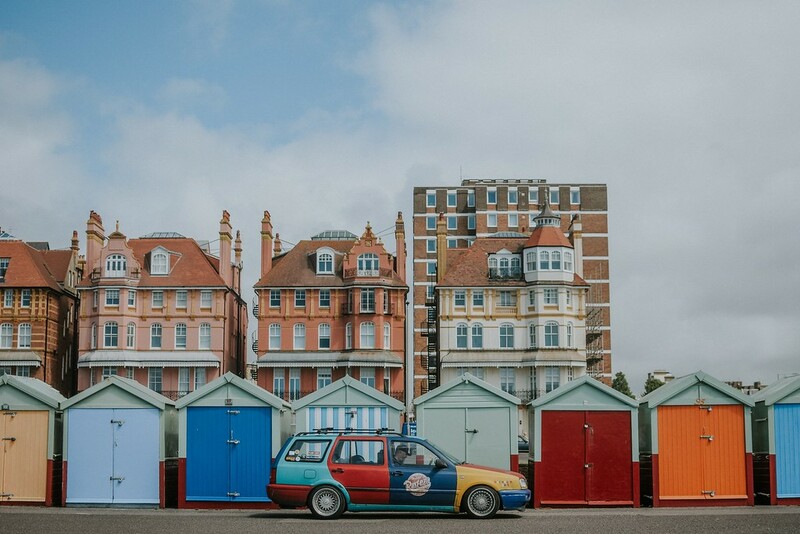 One of the prettiest places to go in England is the seaside town of Brighton. You can easily travel to Brighton by train from London in one hour, making it a convenient break from the city. Brighton Pier has lots of arcade attractions, and Brighton Beach is the ultimate spot to watch the sunset. The Lanes is where you can shop ’til you drop, and North Laine has more alternative shops and second hand clothing stores. Royal Pavilion is a coastal palace and intriguing architectural tourist attraction, paying homage to styles from India and China. Brighton is known as the “Gay Capital of Britain” with its gay village and Brighton and Hove Pride, the largest LGBT pride festival in the United Kingdom. More than 100,000 people flock to Brighton in late August and early September for the celebrations. 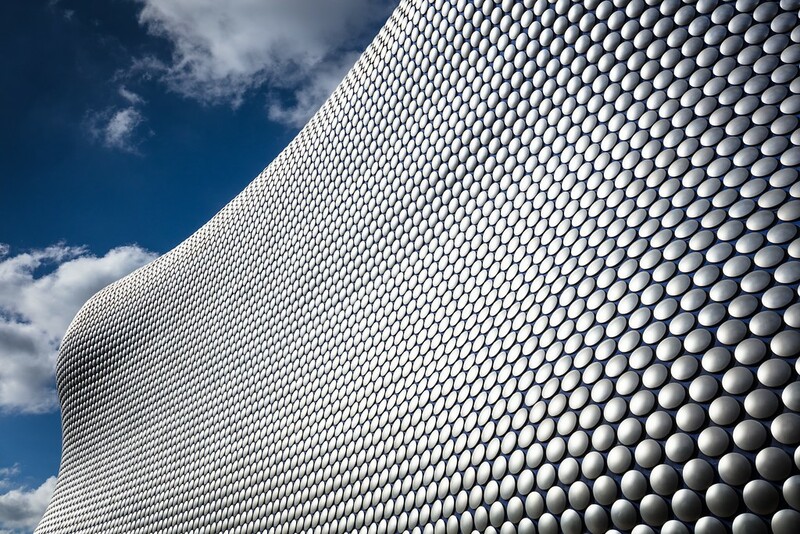 After London, Birmingham is England’s second largest city and one of the best places to go in England. It’s one of the most amazing England destinations to wander around and explore, from its museums and art galleries to its parks and nature. Aston Hall is a restored Jacobean mansion with period rooms and impressive artwork. The Birmingham Museum & Art Gallery has several temporary exhibitions and a large permanent gallery, featuring a comprehensive collection of pre-Raphaelite paintings. There’s brilliant architecture all over town, like the Victorian-era Great Western Arcade and the Selfridges store at the Bullring. Is the great outdoors more your style? Visit the Birmingham Botanical Gardens to check out one of the most beautiful places in England. It includes four glasshouses showcasing tropical plants from around the world. There’s also a lovely tea room to rest your legs and relax in a tranquil environment. Furthermore, the live music scene in Birmingham is thriving, and you can find just about every genre and variety of music around town. From the Q2 Academy Birmingham with alternative rock and indie bands to the Flapper and Firkin, a smaller pub that’s popular with university students, there’s something for every taste. Symphony Hall has two to four classical concerts a week, if you’re seeking orchestral music. If you’re interested in sports matches, theater, or even theme parks, you’ll find it all in Birmingham. 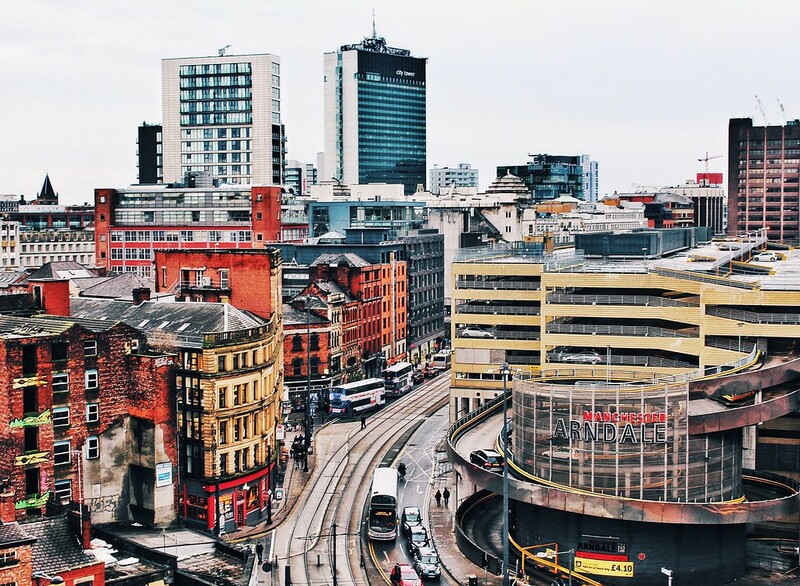 Manchester is one of several historical cities to visit in England, and there’s no shortage of fun activities. I know that I love wandering around the properties of universities, as it’s so fascinating to marvel at the old buildings and people watch. The University of Manchester also happens to be where the first computer was built, the first atom was probed, and the birthplace of radio astronomy. The Manchester Cathedral is the widest cathedral in England and features a brand new visitor center. If you want to explore another interesting historical site, Castlefield is a former Roman settlement and also the center of Manchester’s canal network. Nowadays, it’s a relaxed neighborhood with green spaces, casual pubs, and of course, the ruins of the Roman fort of Mamucium. If it’s a hidden gem you seek, check out Chetham’s Library in Manchester. It’s the oldest English language public library in the world and has remained free to the public for the last 350 years. You can see the original collection of books here, dating back to the 1600s. The library offers timed entries for visitors, so be sure to book your free ticket in advance (although the library does have a suggested donation fee, if you’d like to contribute). If you love old books and historic buildings, Chetham’s Library in Manchester is surely one of the most beautiful and best places to visit in England. Awarded the European Capital of Culture in 2008, Liverpool is a vibrant city that should be on your England bucket list. 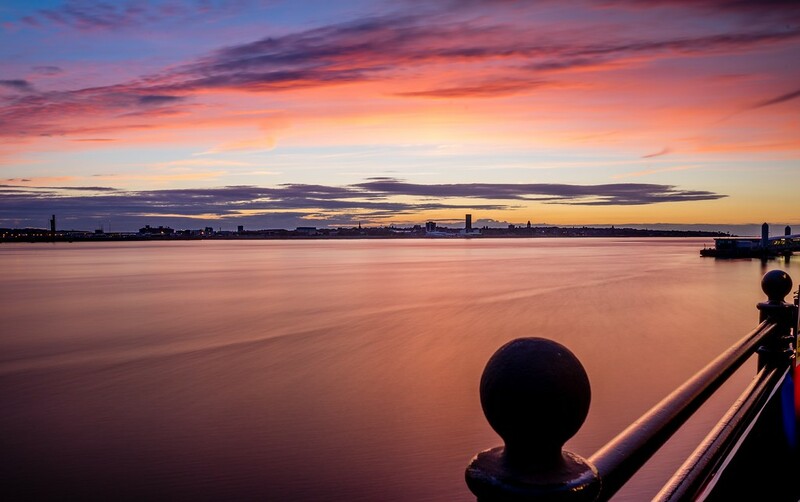 There are a variety of spots you need to visit, like the Pier Head Waterfront, named a UNESCO World Heritage Site in 2004. While you’re down by the water, you can check out the Maritime Museum or take an informative boat cruise on the River Mersey. Also, the Royal Albert Dock has shops with handmade wares, tasty treats, live music, and art galleries. Fans of the Beatles flock to Liverpool and the Albert Dock to follow the history and story of the band where it all began. You’ll want to head to the Beatles Story for immersive exhibitions, replica sets, and rare memorabilia. If taxi tours are more your style, you can find Beatles themed taxi tours that swing by the band members’ childhood homes. There are also tours for fans of the TV show, Peaky Blinders, exploring filming locations from the show in Liverpool and the outskirts. Bristol is known for its relaxed, hipster vibes. 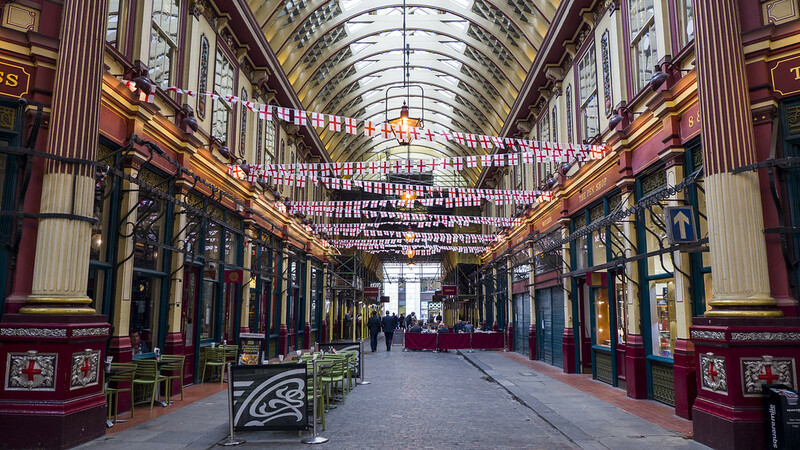 It’s one of the best places to visit in England because it’s so walkable and there are many free attractions. The Clifton Suspension Bridge is quite possibly Bristol’s most well known landmark, and it is one of the greatest bridges in the world. The bridge is free to walk across or photograph. I also recommend going for a stroll around Bristol’s old town. You’ll find a medieval church built into the city walls, and you can find cheap eats at the St. Nicholas Market. 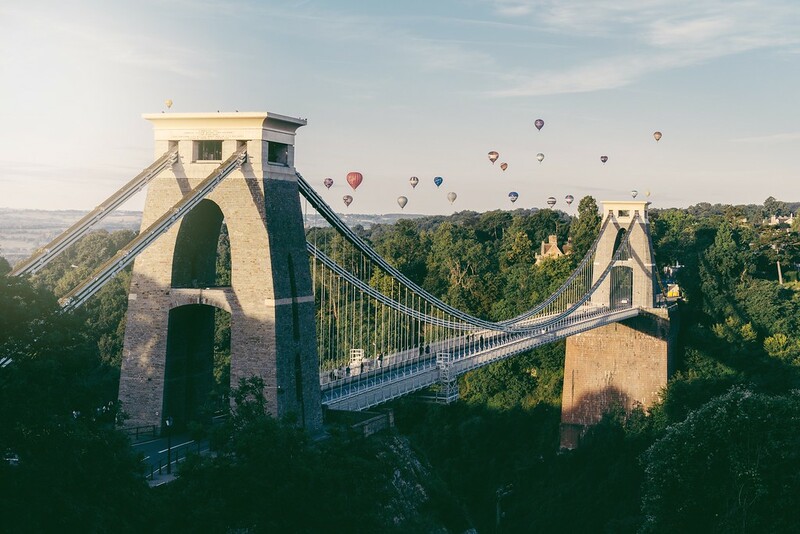 If you travel to Bristol at the beginning of August, you can attend the Bristol International Balloon Fiesta. It’s Europe’s largest hot air balloon festival, hosting over 130 balloons from countries all over the world. It’s free of charge to watch the balloons soar across the sky, making it one of the most beautiful places in England. Windsor is famous for Windsor Castle, home to the Queen and 900 years of history. It’s the largest and oldest occupied castle in the world. You can visit many public spaces of the castle on a tour, including the lavish state apartments. You don’t want to miss the Changing of the Guard ceremony outside Windsor Castle. 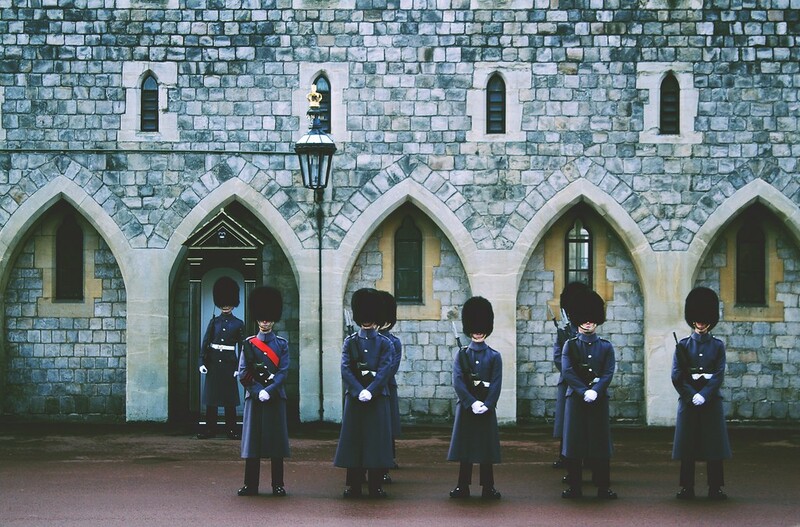 The guards have protected the Royal Family since 1660. In the ceremony, the guards will march through the town and up to the castle, accompanied by the band playing traditional military march songs. Even if Windsor Castle isn’t your cup of tea, there are lots of other things to do in Windsor. 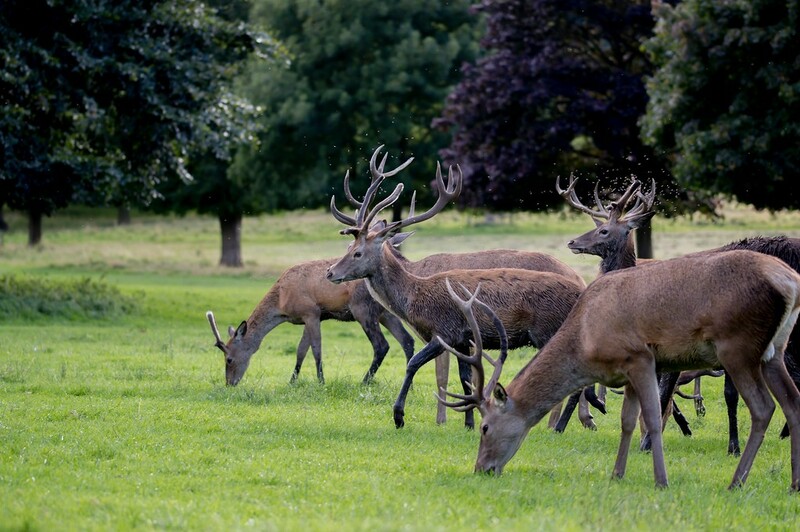 The Windsor Great Park is a forested area with many deer that you can explore by foot. 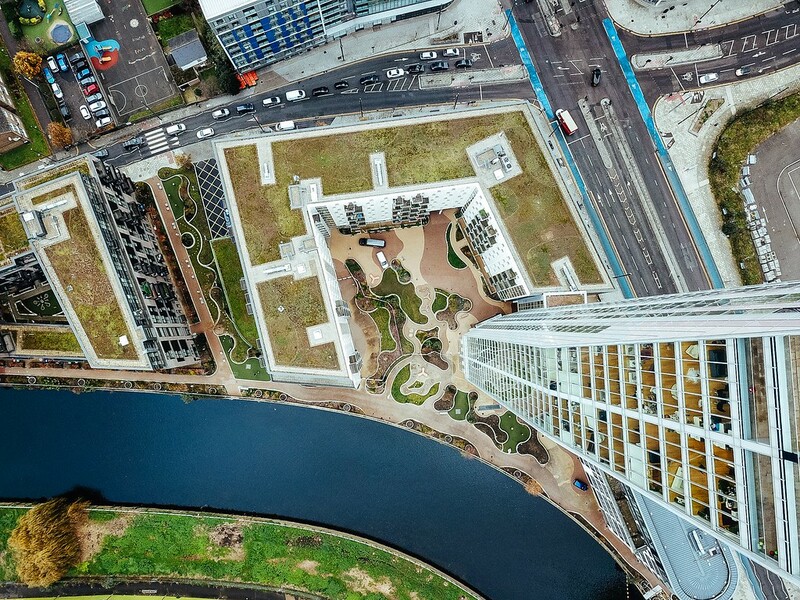 You can go kayaking or boating on the River Thames or take a stroll down the Thames Path. See the city from a hop-on-hop-off bus or aboard a river cruise. And there are always the local pubs to enjoy a pint with some live music! Even though Canterbury was heavily bombed in World War II, it’s still a very charming spot to visit. There are old, Tudor buildings paired with modern office structures for an interesting architectural pairing of styles. A trio of churches are a UNESCO World Heritage Site in Canterbury (Canterbury Christchurch Cathedral and Precinct, St. Augustine’s Abbey and St. Martin’s Church). The Church of St. Martin is the oldest church in England, and the Canterbury Cathedral is the Mother Church of the Anglican community. If churches aren’t your jam, you can explore the ruins of Canterbury Castle. The Canterbury Labyrinth at the University of Kent at Canterbury is a unique project to discover, although it isn’t the kind of labyrinth where you can get lost. 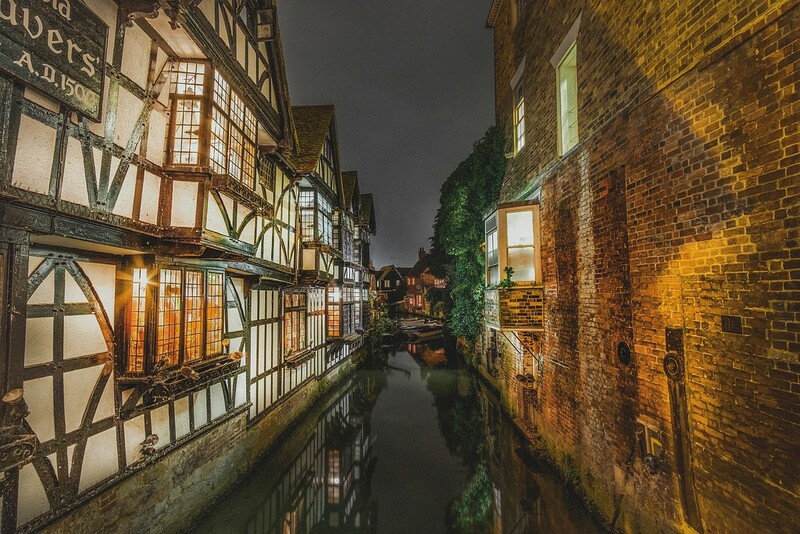 Canterbury Historic River Tours takes you along the Stour, with insightful commentary while you gaze at the stunning architecture and scenery. The Jurassic Coast is a 95 mile stretch of coastline in southern England between Exmouth in East Devon to Studland Bay in Dorset. It’s another UNESCO World Heritage Site to add to your list. It’s a fascinating region where erosion has uncovered a sequence of rock formations from the Jurassic, Triassic, and Cretaceous periods. There are fossilized remains of creatures in the rocks, back from the days where this area was a marsh, a tropical sea, and a desert. You can hike or cycle along the coast to marvel at brilliant natural features like arches and stack rocks. Whether you’re there for the dramatic cliffs, the expansive beaches, or the secretive coves, head to Jurassic Coast for the spectacular landscape. There are even dog friendly beaches to bring your canine buddy. Take some time to stop at the museums and visitor centers along the Jurassic Coast for a better understanding of the region. It’s truly one of the prettiest and best places to visit in England, so I’d spend a good amount of time exploring all of it. 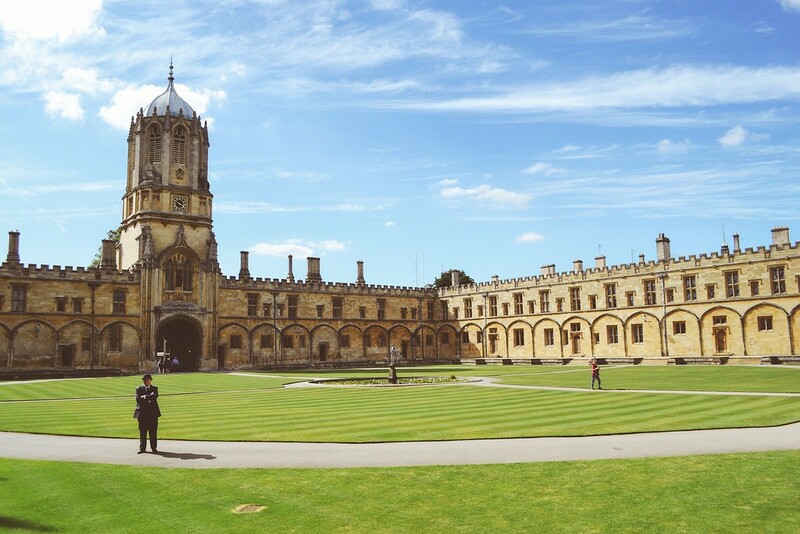 The city of Oxford is best known for the University of Oxford, founded in the 12th century and the oldest English speaking university. You can wander around its 40 associated colleges and buildings, including some that were used in the Harry Potter film franchise. Please keep in mind that some colleges are closed to the public during exam times, so check the schedules before you plan your trip. 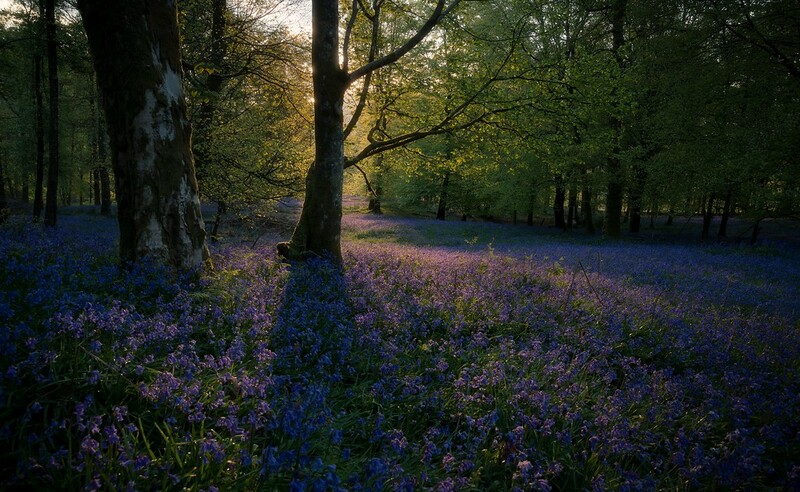 Travel to Oxford to walk around the Oxford Botanical Gardens, showcasing over 6000 varieties of plants and flowers. There are also many themed tours you can book in Oxford, like ghost tours and pub crawls. For another unique England destination, add a trip to the Eagle and Child Pub to your list. It was the preferred literary hangout and pub of Tolkein, C.S. Lewis, and other important figures. They often met at this pub to share and proofread manuscripts, such as first drafts of The Lion, The Witch, and the Wardrobe. The Peak District is a pastoral and picturesque region of East Midlands, comprising dozens of tiny towns in a rural setting. Peak District is also home to Peak District National Park where you can walk, cycle, and camp. While named the Peak District, the landscape isn’t mountainous, but it has some steep hills. 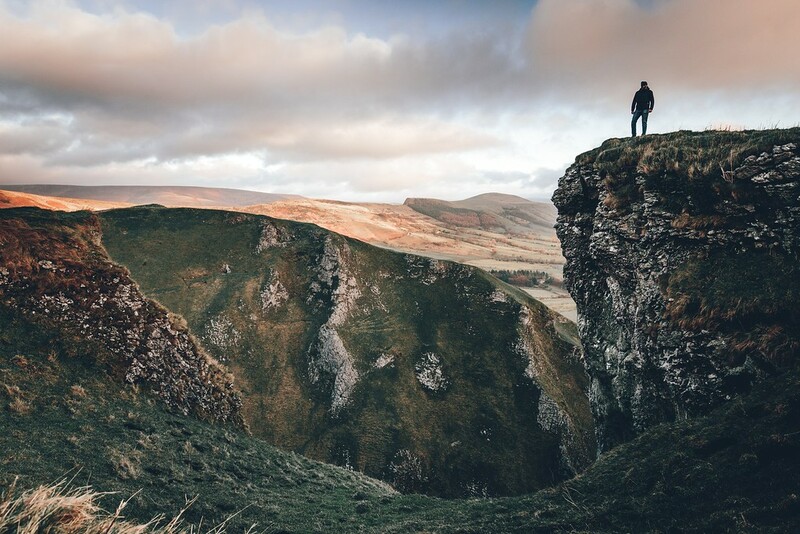 There are a number of short and long distance walking routes around the Peak District that make it one of the best places to visit in England. If you don’t feel like going for a hike, there are lots of other things to do in the Peak. The Heights of Abraham in Derbyshire offer a cable car journey across the Derwent Valley. At the summit, embark on an adventure into the Great Masson Cavern. If trying food and drink is more your style, check out the Robinsons Brewery Visitor Center for a brew tour and to sample some fine ales. Finally, for a unique experience, head over to the Denby Pottery Village to take a guided tour of this pottery studio. After you see the pottery being made and painted, grab a great bargain on pottery for your own home at the Denby Factory Shop. Of course, the first thing that comes to mind when you think about Nottingham is Robin Hood. While a trip to Nottingham Castle is a must do activity there (with its famous Robin Hood statue out front), there are many other things to do in Nottingham. While you can enjoy a pint any day of the week, why not plan your visit during the Nottingham Beer Festival in October? You can sample over 1000 beers, eat delicious food, and listen to live music at Nottingham Castle. Did you know that beneath Nottingham lies a network of caves? You can explore this vast network of over 850 caves in a variety of spots all over the city. These man made tunnels were carved throughout the years as storerooms, homes, dungeons, hideouts, and more. Sometimes the most fascinating history lies beneath the surface, making it one of the most unexpected England tourist places. Chester is truly one of the best places to visit in England due to its nearly complete medieval city walls and alluring history. There are rows of iconic black and white timbered houses (I’m a total sucker for charming historic homes). As a military base in Roman times, Chester has a number of Roman ruins, including an ancient Roman amphitheater. 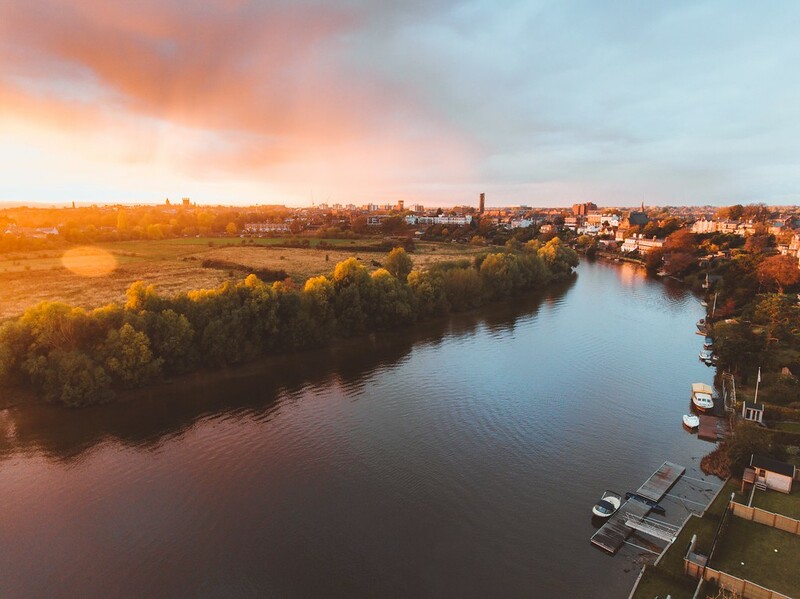 Take a walk at The Groves, Chester’s promenade along the River Dee. You can start or finish your walk in Grosvenor Park, a Victorian park with ornamental shrubbery and rows of shady trees. In December, you must visit the magical Chester Christmas Market to browse the wooden chalets for treats and gifts. The town is decorated with so many twinkling Christmas lights, and there’s a large Christmas tree in the center of the market. 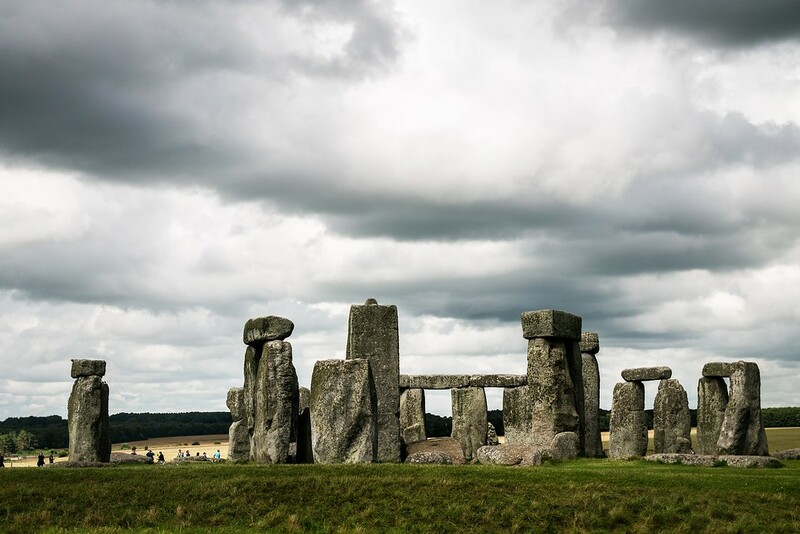 Perhaps one of the most famous England tourist places, Stonehenge is a monument you won’t want to miss. It’s one of the most well known prehistoric sites in Europe with a history spanning 4500 years. It is a masterpiece of engineering, an inspiring place, and a wonder of the world. There are also exhibitions at the visitors centre, including over 250 archaeological treasures and a reconstruction of a 5500 year old man. Stonehenge is truly fascinating and one of the best places to visit in England. Lake District National Park is the largest National Park in England, making it one of the most scenic areas and best spots for outdoor adventures. You’ll witness dramatic and inspiring scenery wherever you go, with opportunities to spot lakes and fells across remarkable landscapes. It’s one of the most beautiful places in England. When you’re finished hiking for the day, stop at the Low Gillerthwaite Field Centre because it is an accredited dark sky reserve. It’s quite possibly the best place in England to view the stars and the night sky. Another unique experience in the Lake District National Park is getting around by electric bike. There’s an electric bike network that makes it easy to zip around from village to village. There are charging stations at lots of pubs and cafes, which is the best place to take a break. If you don’t feel like using your own two feet, choose this green way of traveling from point A to point B. 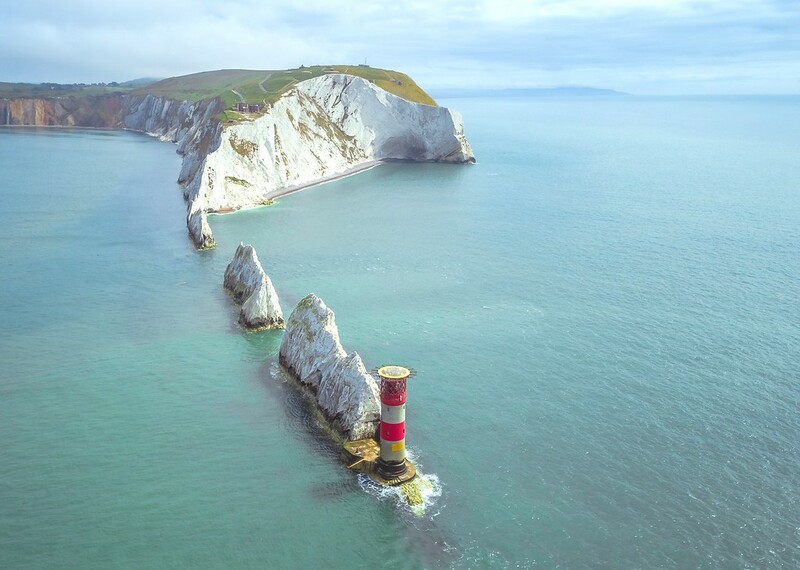 The Isle of Wight (also known as The Island) is the largest island in England. Known for its mild climate and stunning scenery, people have traveled to resorts there since Victorian times. There are many natural attractions that you need to check out. The Needles is a famous headland and military site in the west of the island. You can admire scenery of the lighthouse and rocks jetting out of the sea. While you’re there, visit Alum Bay to marvel at the many different colors of sand that appear on its beach. The Isle of Wight is one of the best locations in the world to find dinosaur fossils, so there are several opportunities to book dinosaur fossil walks. The Ventnor Botanic Garden will make you feel like you’re somewhere much more tropical. With a unique micro-climate, you’ll see palm trees, banana plants, and cacti flourishing in its gardens. Bath is a historic Roman spa city in England, famous for its Roman bathing complex where you can take a tour. After you spend a couple of hours touring the Roman Baths, take the plunge yourself at Thermae Bath Spa. There’s a rooftop pool, an indoor Minerva Bath, steam rooms, a sauna, and spa treatments. Take the time to wander around Bath to explore at your own pace. The Royal Crescent is an impressive architectural feat, divided up nowadays into apartments. Travel to the top of Bath Abbey for one of the prettiest views in town. For those who love cycling, pedal your way around the Bath Two Tunnels Circuit, lengthy cycle tunnels that were formerly train tunnels. No matter what activities and attractions you choose, there’s something for everyone. Bath is one of the best place to visit in England. 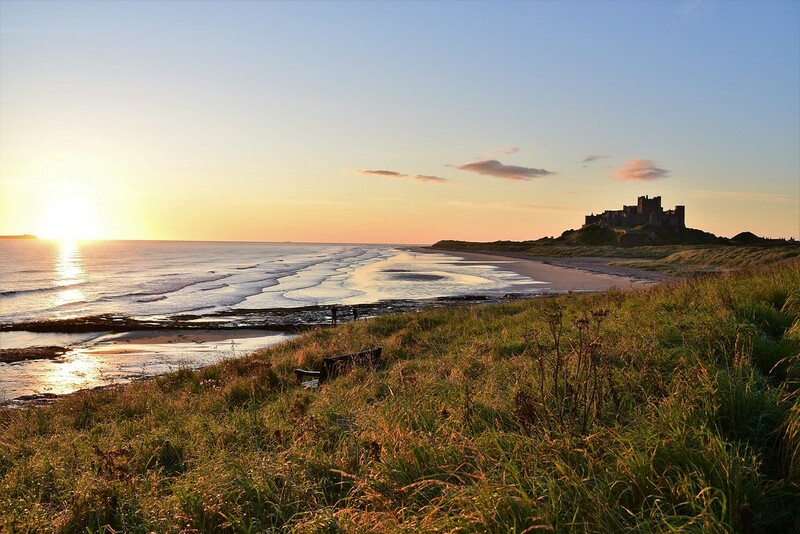 Departing from the top cities to visit in England, Northumberland is a destination in a rural northern region of the country. There are countless castles, ghostly ruins, and endless sandy beaches that stretch towards the horizon. It’s a land of vast beauty and an escape from the bustling city life. It’s rugged, remote, and gorgeous. There are countless things to do in Northumberland. Uncover Neolithic rock art at the Northumberland National Park. Spot seals and puffins on the Farne Islands. Trek through sand dunes to reach Bamburgh Castle. Take a foraging workshop in Alnwick or sample the freshest produce in Tyne Valley. 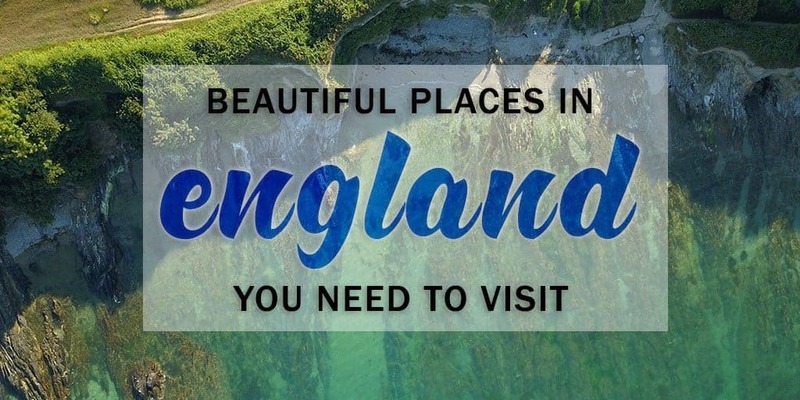 Not only is it one of the most spectacular places to go in England, but it’s a destination with something for every travel style. While many tourists flock to Salisbury because it’s near Stonehenge, it’s one of the great cities to visit in England. The Salisbury Cathedral has the highest spire in England, and there are daily guided tours up to the top of the tower. The Salisbury and South Wiltshire Museum is an outstanding little museum, showcasing the history of the city through photos, costumes, and ceramics. The venue itself is the King’s House, dating back to the 1200s. Old Sarum is at the top of a hill in Salisbury, detailing the site of the original city from 3000 BC to 1219. For enchanting moments in Salisbury, take a stroll at the Harnham Water Meadows where you might even spot a few grazing sheep or cows. 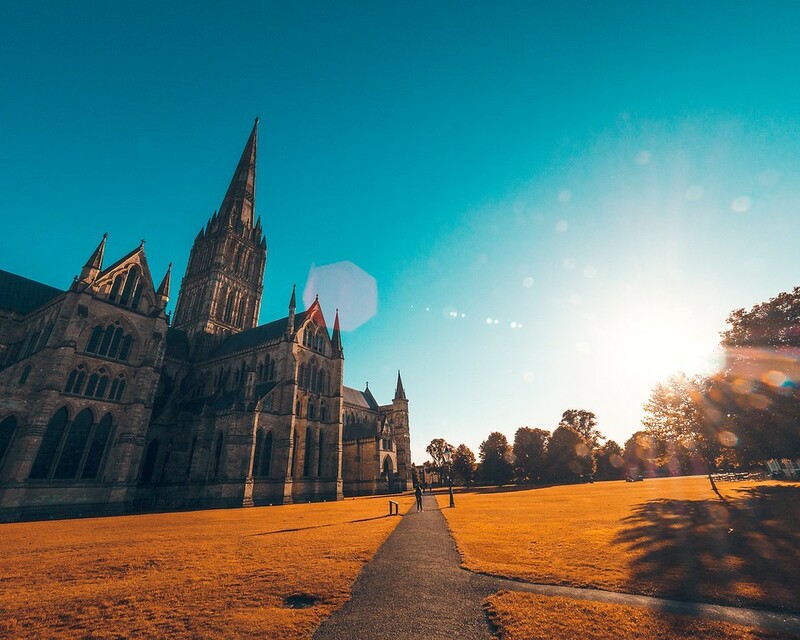 Stonehenge aside, Salisbury is still one of the best places to visit in England. Cambridge might be another university city in England, but there’s no shortage of fun activities and attractions. It’s one of the most scenic and beautiful places in England. First, I’d love to take a punting trip in Cambridge. After going punting in Germany, I’m hooked on this unique way to drift down the river. 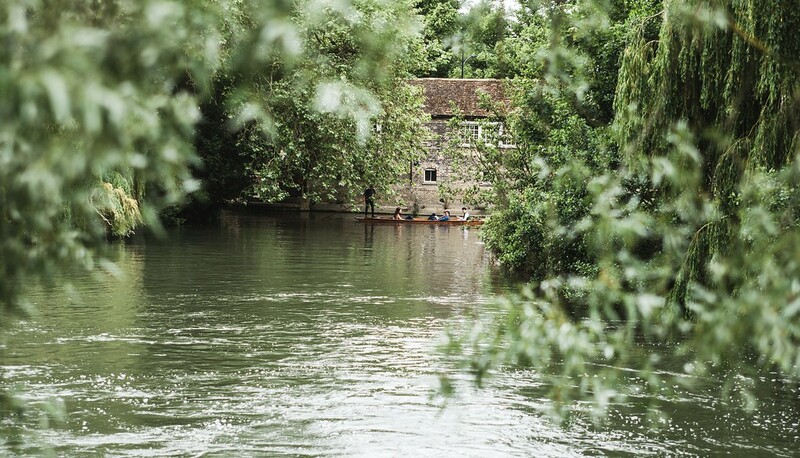 Float down the River Cam while your drive maneuvers the small boat with a giant wooden stick. Aside from punting, be sure to wander around the university grounds or pay a visit to the Botanic Gardens. I also love visiting independent bookshops when I travel, so a trip to Heffers is a must. It’s a massive bookshop where you can feed and nourish your inner bookworm. There are also tons of museums, churches, and historic places to visit all over Cambridge. You could easily spend days exploring Cambridge, so it’s surely one of the best places to visit in England. York is an ancient city, dating back to before Roman times. You’ll find some of the best preserved buildings, cathedrals, and structures here, so York is worthy of a spot on your England itinerary. It’s one of the most popular cities to visit in England, and famously gives its name to the city and state of New York. 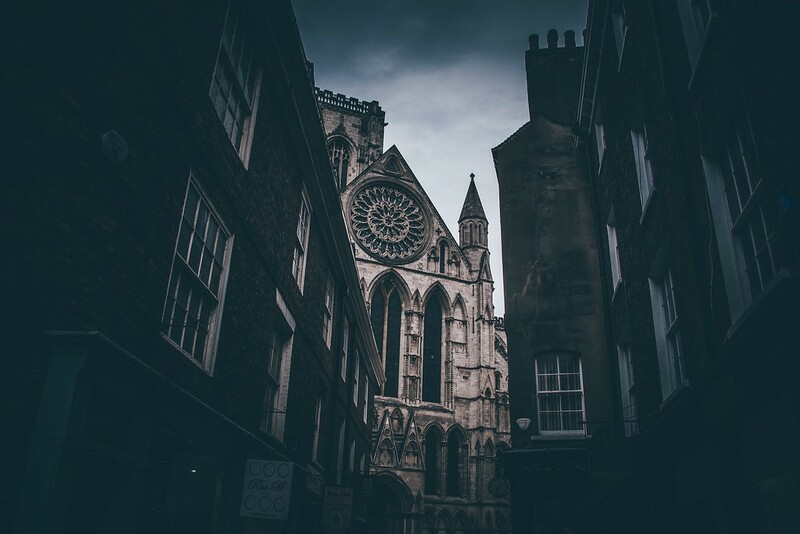 In York, you need to visit York Minster, the JORVIK Viking Center, the York City Walls, York Dungeon, and Clifford’s Tower, to name a few. Definitely walk the York snickelways, the famous alleys that meander through the middle of the city. If you’re looking for somewhere to stay in York, there are loads of cheap hotels and B&Bs right near the train station and Minster Cathedral. I recommend spending the night right in the town center so you’re within walking distance of landmarks, pubs, and shops. Dover is a major port town and also the closest port in mainland England to continental Europe. It’s one of the best places to visit in England due to its natural wonders and preserved historical sites. You simply must go to the White Cliffs of Dover, a dramatic and rugged coastal site overlooking the English Channel. Furthermore, the scenic North Downs Way is a walking trail along the coast with the most wondrous scenery. For other things to do in Dover, check out the Roman Painted House to see the best preserved Roman wall paintings in England. Dover Castle has over 2000 years of history, including a Roman lighthouse and a Saxon church. 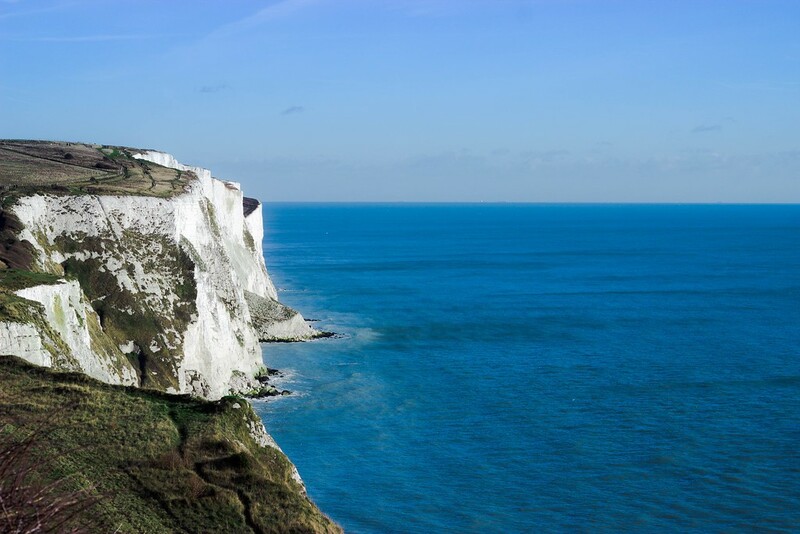 If you enjoy exploring the great outdoors, Dover is a wonderful destination for a camping holiday in England. Norfolk is a farming region in eastern England, and there are endless chances to explore nature and wildlife. 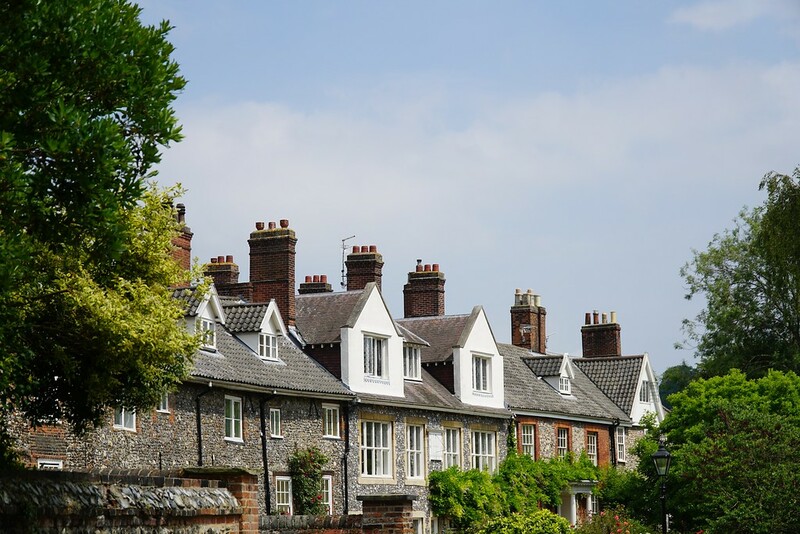 Be sure to take a road trip on the coastal road, the A149, through many picturesque towns and villages. In Norfolk, the Broads has the UK’s largest protected wetland and it’s a great place to go bird watching. There are also numerous cycling routes, and I recommend checking out the Norfolk Coast Path Walk for an epic journey by foot. Norfolk is home to the largest seal colony in Britain. Make the trip to Blakeney Point, a National Trust site, to discover these adorable creatures. Stratford-upon-Avon is a beautiful and historic town on the river Avon. It’s famous because it is the hometown of William Shakespeare. Stratford-upon-Avon is one of the best places to visit in England due to its theatre productions and well preserved buildings. Naturally, the Royal Shakespeare Company has three theatres in town where you can catch a performance. It’s a memorable experiences to attend a Shakespeare play in his hometown. 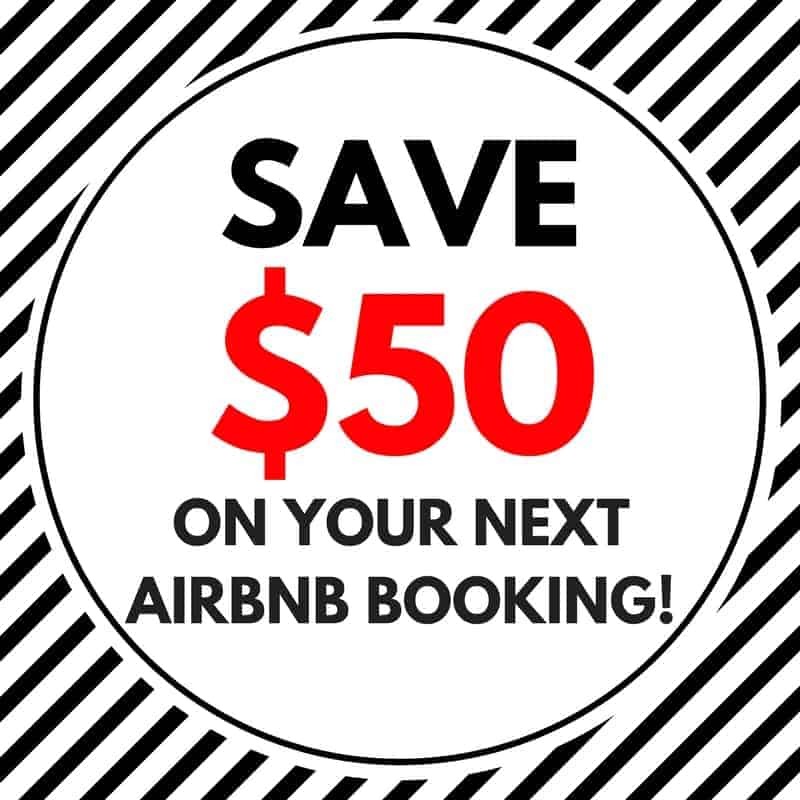 You can also go to the home of Shakespeare’s birth. I also recommend wandering around town to see the Tudor homes or book a walking tour for more insight into Stratford-upon-Avon. Spend a sunny day at the Canal Basin to see the riverside garden or use it as a jumping off point for a boat tour. Layers, layers, layers. The weather and the temperatures change dramatically here. Dress comfortably in layers and you’ll be all set. Timbuk2 Messenger Bag – this comes everywhere with me and contains my camera and everything I need to carry on my adventures. A waterproof rain jacket – A must if you plan to travel to the United Kingdom. 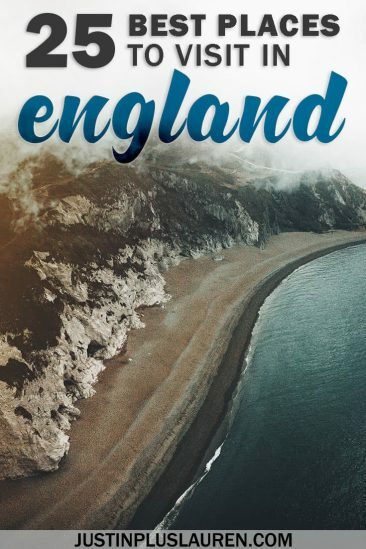 A Lonely Planet England guide book – I love reading these for travel inspiration or even to get excited on the flight when I’m flying there. 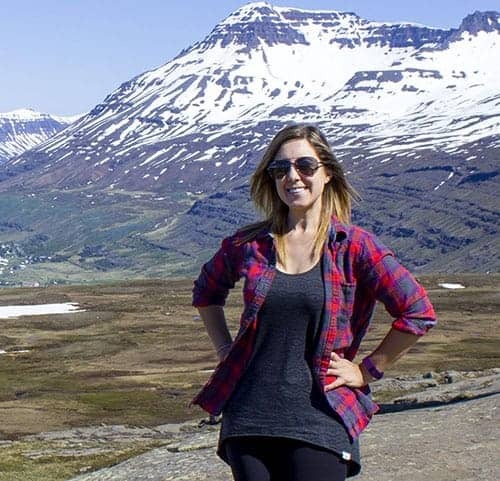 While there’s no shortage of activities and adventures, I hope you consider visiting some of these cities, towns, and regions. 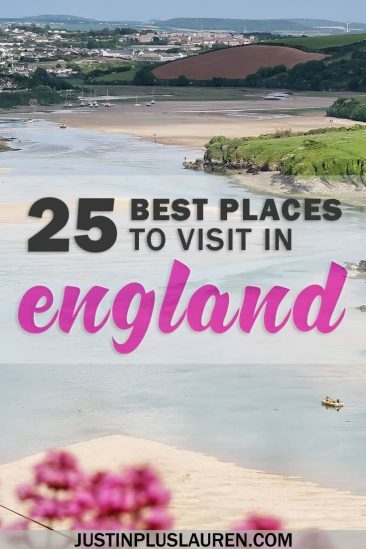 They are among the best places to visit in England from an even longer, lengthier list of England destinations. While many people won’t make it outside of London, I hope that what you see in England extends beyond the confines of the major cities. PIN one of the above images to Pinterest by clicking the top left corner. Where’s your favorite place in England? Let me know about some charming spots I’ve missed on the list!